The Perth-born model was the youngest-ever to grace the cover of American Vogue. "I had come straight from my auntie and uncle's farm, and I was wearing this big gray barn jacket with mud all over it. When the scout came up to me, I said, No, thank you. They forged my mom's signature (for mandatory parental consent) and pushed me in front of the cameras." She was discovered in 2002, while accompanying her friends to the Aussie modeling competition "Search for a Supermodel". Gemma recalls, "I came to watch my friends. I was sitting there in the crowd when the agent from Perth came over. I didn't even want to enter. It was a bit of chance. I was so shocked when I got my first job" Gemma later told Teen Vogue, "I had come straight from my auntie and uncle's farm, and I was wearing this big gray barn jacket with mud all over it. When the scout came up to me, I said, No, thank you. But my friends were like, Hell, yes! They forged my mom's signature and pushed me in front of the cameras". The teenager didn't win the competition, but with her fragile, unique look, two modeling agencies soon came calling. Even though Gemma Ward didn't win the competition, a top Australian modeling agency picked her up after seeing a small picture of her in Kurv, an Australian-produced arts, culture and fashion magazine. Soon she was signed by that Australian modeling agency, and two other international modeling agencies later came in to the scene in addition to her original Australian modeling agency in order to give her further global representation. At the age of 15, Gemma Ward was already well known in the Australian fashion industry and at 16 years of age, she was the youngest model to be listed by American Vogue as one of the nine "It Girls" in the modeling world. In September 2004, Gemma Ward became the youngest fashion model to grace the cover of United States Vogue, and the first model to appear on the cover of Teen Vogue. Top fashion magazines such as Harper’s BAZAAR, W Magazine, and Pop all regularly featured Gemma. She has also modeled for an enviable list of fashion houses, including Balenciaga, Chanel, Dolce & Gabbana, Ralph Lauren, Louis Vuitton, Givenchy, Prada, Valentino, Christian Dior, Hermes, Swarovski, Burberry, Calvin Klein, Jean-Paul Gaultier, and Yves Saint Laurent. Altogether, Gemma Ward has appeared on 30 covers of Vogue Magazine worldwide. 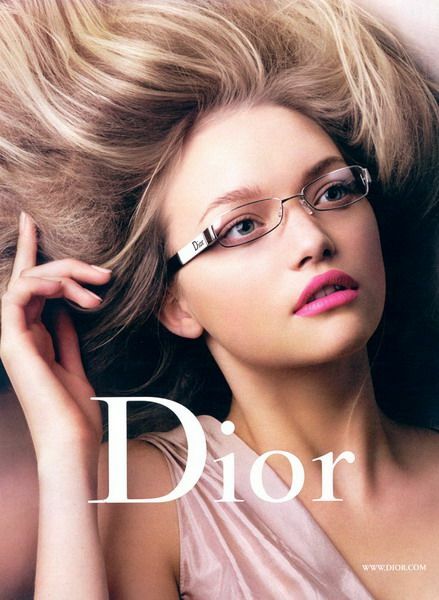 Her look inspired a new generation of baby doll-like models and in Allure Magazine (October 2006), Gemma Ward is described as "the model of the moment". Allure's creative director Paul Cavaco stated: "We went through a period that was very va-va-voom, but now the pendulum has swung back. Gemma is ethereal, not earthy". Photographer Michael Thompson says, "She's an exotic blonde, the rarest of creatures". 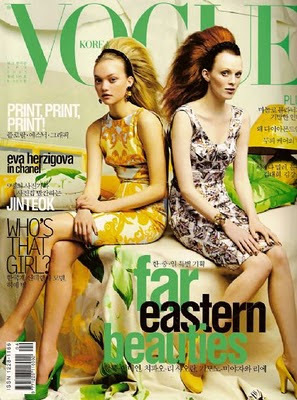 Gemma Ward appeared on the cover of the first issue of Vogue India, photographed by photographer Patrick Demarchelier. This is the second time Gemma Ward has appeared on an inaugural issue - the first time being the first ever cover of Vogue China in 2005. In July 2007, earning at an estimated total of $3 million in the previous 12 months, Forbes Magazine named her 10th in the list of the World's 15 Top-Earning Supermodels. Gemma has worked with the industries most renowned photographers including Mario Sorrenti, Phil Poynter, Mikael Jansson, Nathaniel Goldberg, David Sims and Steven Meisel. Gemma Ward has also fulfilled her childhood passion for acting by starring in three films. Her debut in 2001 was the Aussie coming-of-age drama Pink Pyjamas. More recently, Gemma starred alongside Toni Collette and Rhys Wakefield in the award winning film The Black Balloon. The film had its world premiere at the Berlin International Film Festival in Germany in February 2008, where it won a Crystal Bear award. Later that year, she appeared with Liv Tyler in the suspense thriller The Strangers. John Mayer has also featured the young beauty in his music video for the single Daughters. In August 2008, reports surfaced that Ward was to retire from modeling to pursue acting. However, reports were quickly dismissed by Ward herself saying: "I was surprised to wake up this morning and read news of my own retirement. While I am taking some time off currently to rest and enjoy the company of friends and family, I am still very much a (excited and enthusiastic) working model and actress. I'm only 20, for God's sakes". In the summer of 2011 Gemma Ward will be playing the part in "Pirates Of The Caribbean: On Stranger Tides" as Tamara, Queen of the Mermaids, and meet Jack Sparrow during his search for the elusive Fountain of Youth.